Trevor Hart: Accessories Now Making the 5D really usable. There is a flood of accessories available for use with the Canon 5D. 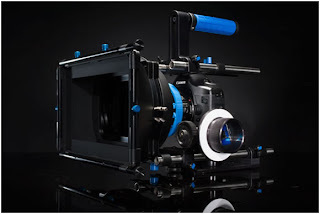 This is the RedRock Micro DSLR Cinema Bundle. Shown here with optional blue focus gears. (photo courtesy of Redrock Micro) . 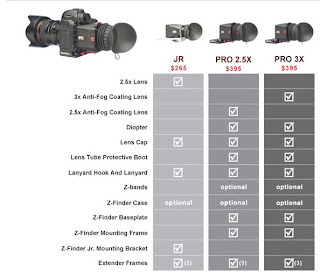 Zacuto also make a range including what seems like a very good view finder. 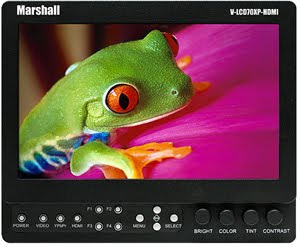 If you need to add a monitor, I've seen the Marshall 7 inch LCD HDMI which is bright and crisp and you can use it with either Canon or Sony V type batteries. 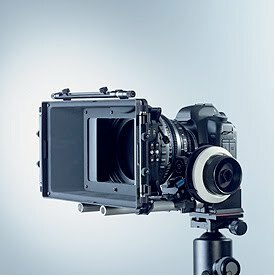 Carl Zeiss has launched a new series of compact prime lenses, for further reading see their release.